Beautiful wallie ! Tohru really looks like angel ! Nice background too ! I will add it to my fav ! Thanks for the wallpaper anyway..
the effects are awesome! the wings suit tohru very ewll. great job!! The scan itself is a little blurry, but the lighting effects and concept are very nice! 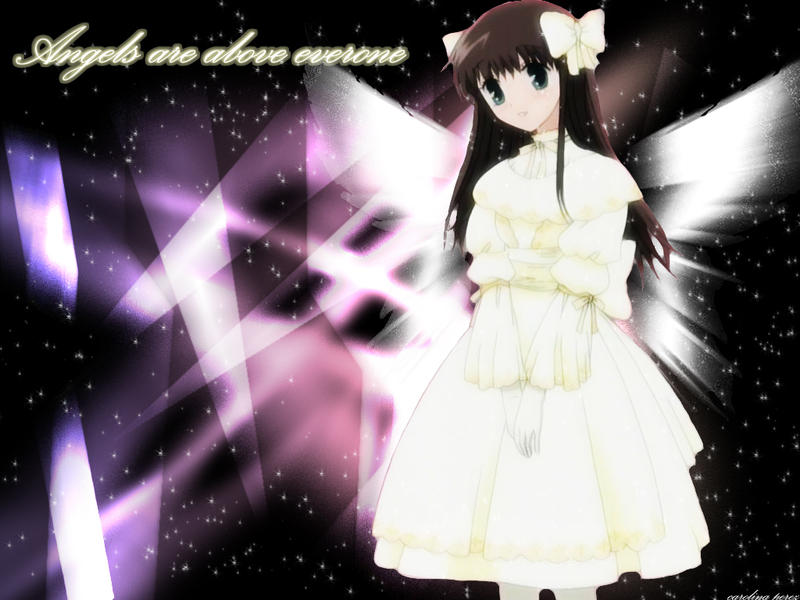 Tohru looks so adorable as an angel! it's sooooooooo pretty! it just make me don't like it it made me love it!